What a whirlwind the past week has been! I got back from my vacation Saturday morning around 8:30, after flying all night and early morning. I am definitely still feeling some fatigue and jet lag. Now, I am currently in recovery mode from daily Mai tai cocktails, sun, salt water, eating out and so forth. I already miss the sun and warmer temperatures, but it’s good to be home with my cats, my own bed and my kitchen and food. Great vacations have to come to an end sometime! 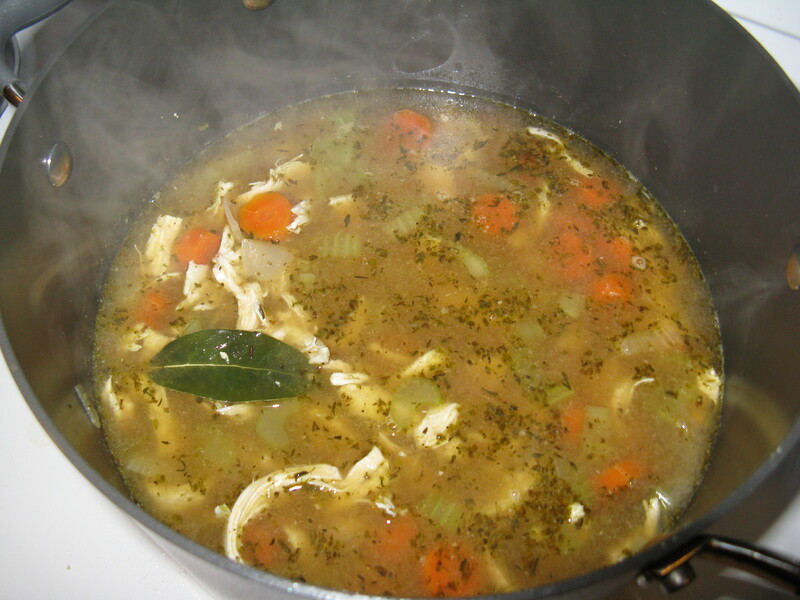 Made a big pot of chicken soup as our first dinner back home. It tasted so good and actually, I’d been craving it in Hawaii, mainly because I was sick one day. Hearty bowl of soup for dinner. Oh, on another note, I got engaged! Jesse proposed to me early Thursday evening. We were out alone on a pier, watching some crabs crawl on the rocks, when he popped the question. I was so touched that I fell into his lap (he was on one knee) and gave him a hug, while tears ran down my cheeks. I couldn’t mutter out my answer because I was choked up, but then Jesse chimed in and said, “so is that a yes?” Of course, it was. I don’t have a ring right now because we’re going to pick something out together. I guess all the choices and price tags were stressing Jesse out, and it had been keeping him from asking me. Finally, he decided to ask without a ring. Luckily, I’m okay with that. The happy engaged couple. This was the day after Jesse proposed. Anyway, moving back to Saturday. It consisted of getting home, unpacking, laundry, cleaning up the house (from our fur-bags, aka cats), warming the house back up (we turned the heat off, so it was super cold) and relaxing. 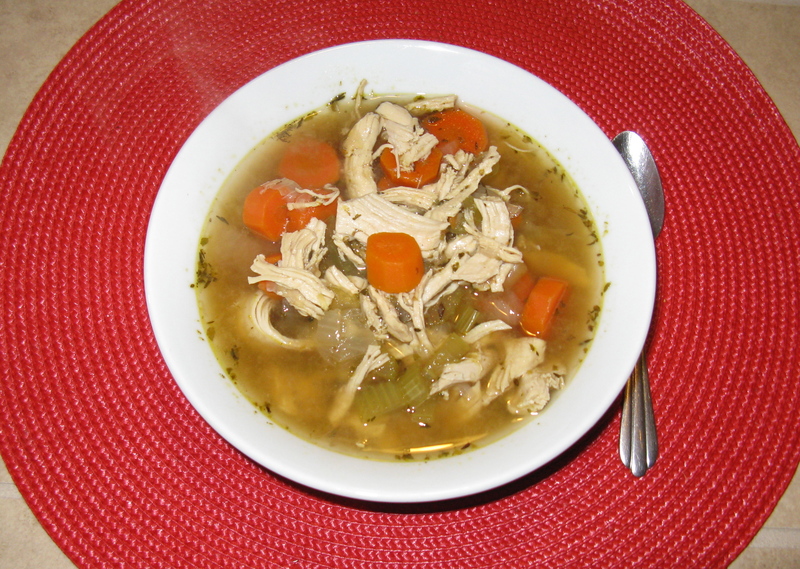 Later in the day, after I showered (I still had sand in my hair and it was damp from my last swim) and took a little nap, I made a big pot of chicken soup — medicine and recovery food. I pulled out some turkey bone broth from the freezer, sautéed some onion, garlic, carrot and celery, added spices, shredded cooked chicken and let it simmer for a bit. If you’re wondering, it was essentially this recipe, minus the spaghetti squash noodles and no turkey, just chicken. It tasted like heaven and was just what my body needed. I’ve also been drinking a lot of tea and some kombucha, and taking my fermented cod liver oil. We went to bed Saturday night at 8:30 and fell right asleep. By the way, I can’t believe today is Christmas Eve! Christmas really snuck up on me since I went on vacation. I will definitely have some Christmas posts and more posts about Hawaii with pictures. Check back for more and happy holidays! Really bad picture, but I found it amusing that Jesse and I both had Keen socks on with lululemon sweats, and our legs crossed on the table. 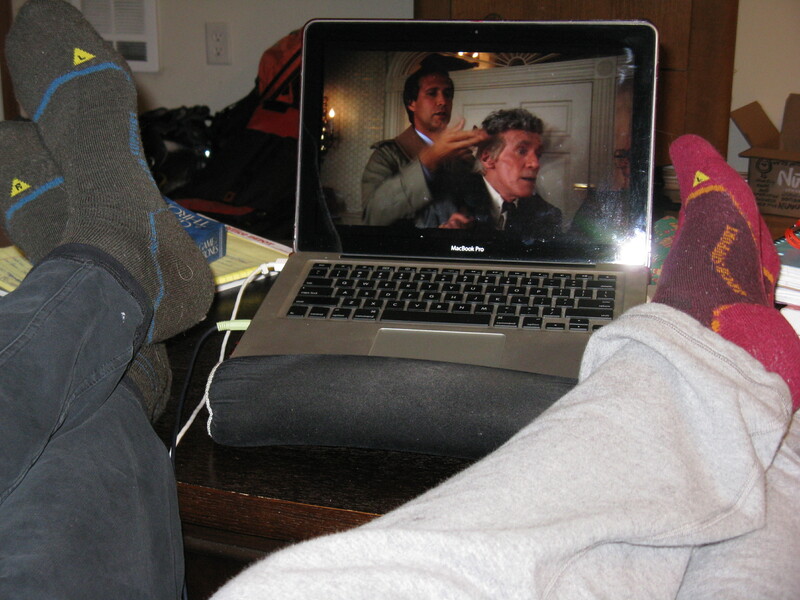 We relaxed and watched Christmas Vacation, one of my favorite holiday movies. 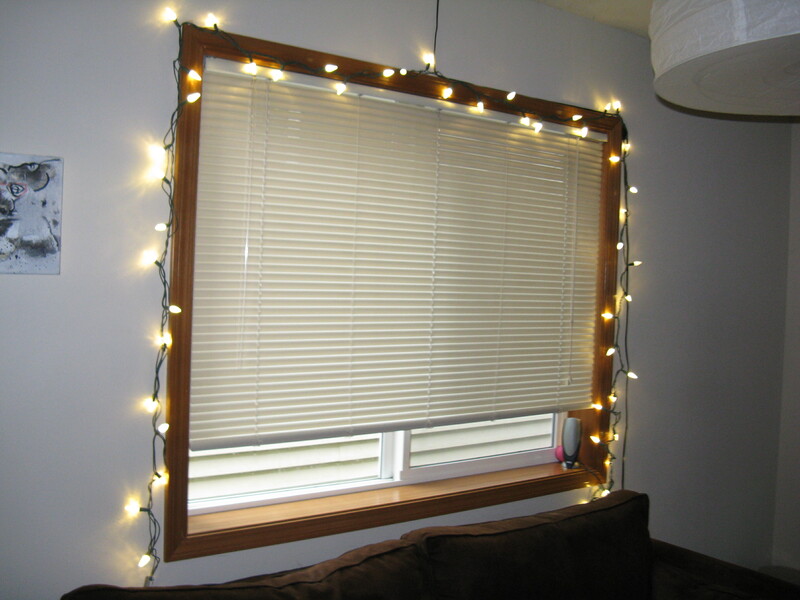 Jesse surprised me on Sunday when I got home from work with Christmas lights. The picture doesn’t do it justice, but these glow beautifully. He bought a door hanger for our lovely wreath too. It made my heart smile. 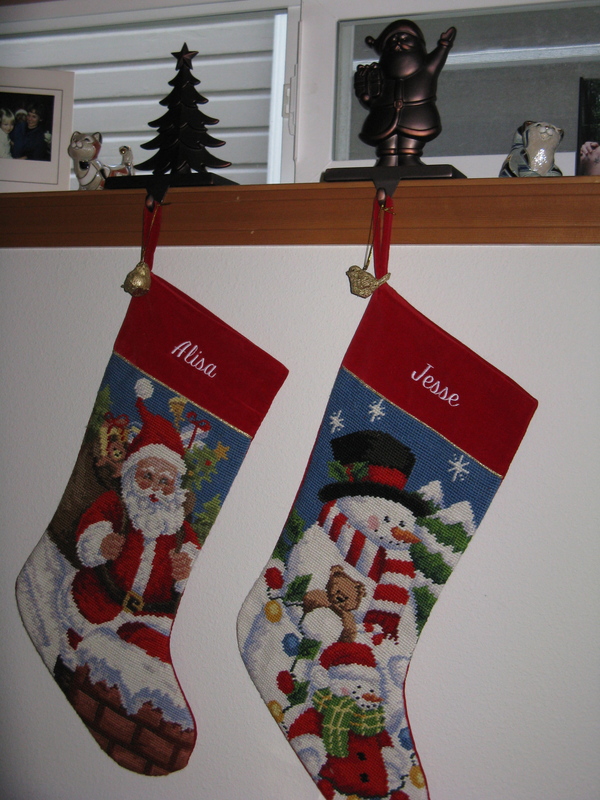 Our stockings have been hung, but just to show that I have other Christmas decorations, I thought I’d share it. Ohhh warmest congratulations on your engagement! So glad Hawaii was as awesome as it sounds, and man that soup looks like absolute heaven. Alisa, It’s Michaela from Recreate. I just started following your blog and love it. Totally need to get on board with the Paleo diet. I feel so much better when I eat that way. Anyway, CONGRATULATIONS on the engagement! I’m so happy for you guys. Yeay!!!! 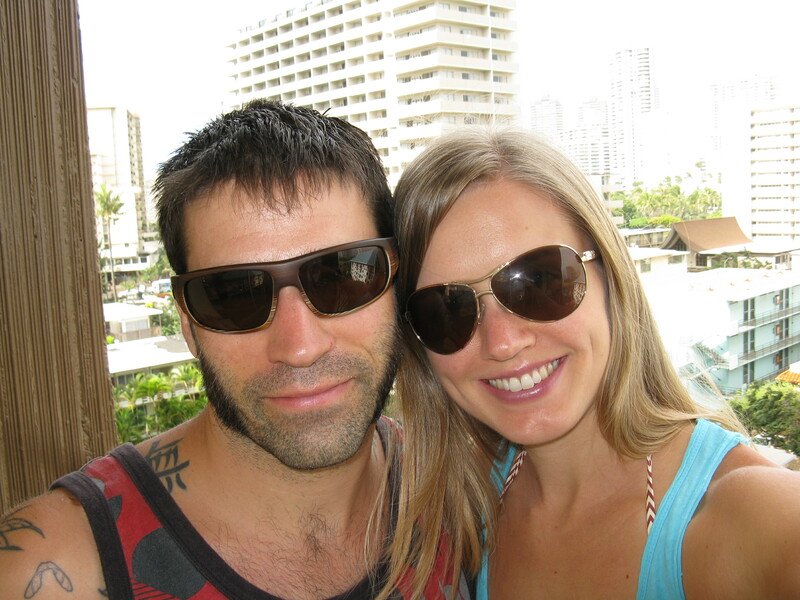 Yay, I’m glad you found my blog, Michaela and thanks so much for the congratulatory message! We’re very excited! Anyway, I’m happy to hear you’re enjoying my blog so far. If you ever have any questions about paleo, getting started and so forth, feel free to chat with me whenever. I’m always happy to help and share my experiences.